The server for PC mode of the "Grand Theft Auto V's" were still working online despite Rockstar games has been pushing for closure threats, leaving many gamers of "Grand Theft Auto V" feeling frustrated. For anyone who isn't aware of FiveM's role, it is a support platform mainly offering a dedicated server for the "Grand Theft Auto V's" multiplayer mode online. FiveM serves as a separate environment for multiplayers online and is no way interfering with the developer's custom level. In this case, Rockstar is not happy with the presence of FiveM and has since initiated the closure moves on their part. FiveM is known to gamers who loves anything that can serve them unfair advantages, like cheats and hacks, Design and Trend reported. FiveM has been operating freely since the launching of "Grand Theft Auto V's" PC version, but it is completely a different story in the eyes of the developer. According to PC Games, Rockstar sent a statement offering explanation about how FiveM's illegal service which includes facilitating gamers a means of piracy and cheats may pose harms to the game's official server since their company has maintained stricter rules for violator of their policy. Despite the suspension, FiveM still continues operational, and the gamer's community who finds their flatform beneficial is still active, flourishing even sharing codes to support some improvements. Its followers believes that the nature of FiveM's nature of project might be hard to stop. Even with the scrapping efforts made by Rockstar, there will always be other party who will take it back into operational mode again. According to the fan, FiveM will never be dead, Blog Job revealed. As for now, the situation remains ambiguous for the future of FiveM. Or what action will Rockstar will do to further to cease the service of FiveM. 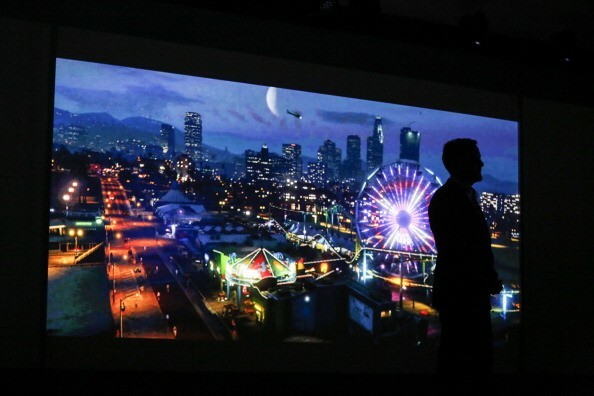 Grand Theft Auto V" is available on Xbox 360, PS4, Xbox One and PS3. ‘Metal Gear Solid 5’ Update: 6th Installment To Focus On Different Gaming Fields? GTA Online DLC Updates: Apartment Customization Leaks A Hoax; Players Soon Live In Super Yacht? 'Grand Theft Auto 5': Last DLC To Feature Zombie Gameplay? GTA 6 Release In 2018?